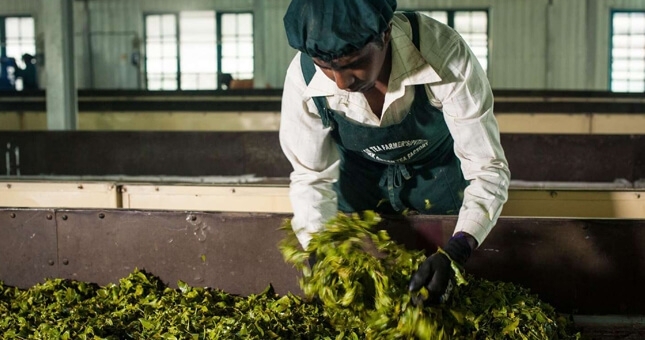 On the 25th of January at precisely 08 am the leaves of the Limited Edition Seasonal Flush were plucked and processed at our very own Park Factory Estate in Nuwara Eliya, at an elevation of 6,500 ft. above sea level the highest factory in the island manufacturing Green Tea. To drink a cup of the Park Estate Seasonal Emerald Green OP1 is to experience the peak of natural harmony between the weather and terroir. This limited edition tea is reminiscent of springtime by the sea with hints of seaweed, herbs and grass. 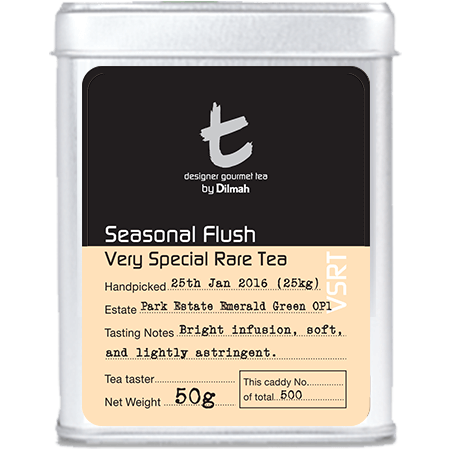 The perfect January weather produces a tea that is soft on the palate and yet marked by fine astringency that sparkles in the finish, accompanying the spring vegetal notes. The Park Estate Seasonal Emerald Green OP1 is an elegant wiry green leaf which yields a bright infusion, while being soft and lightly astringent on the palate and is a true tea connoisseur’s dream. 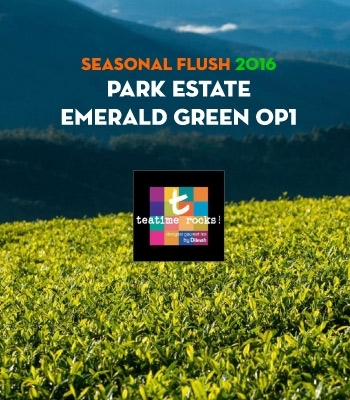 The Park Estate Seasonal Emerald Green OP1 which was plucked on 25th of January 2016 is of an exceptional appearance, yielding a bright infusion with a spectrum of hues of green. On the nose it is reminiscent of springtime by the sea with hints of seaweed, herbs and grass. The perfect January weather produces a tea that is soft on the palate and yet marked by fine stringency that sparkles in the finish that accompanies the spring vegetal notes. The elegant wiry green leaf yields a bright infusion, while being soft and lightly astringent on the palate. 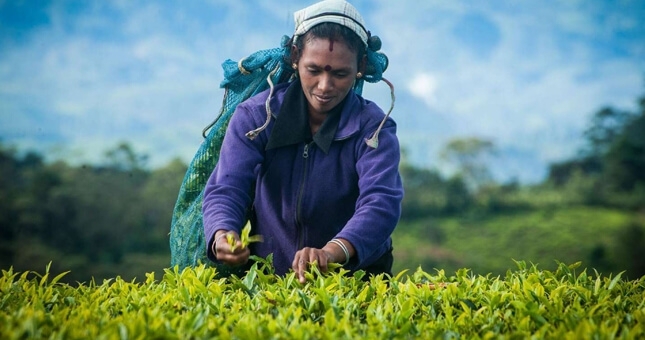 The leaf is plucked by highly skilled tea pickers, early in the morning, when the cell content of the leaf is at its mellowest, before the harsh upland sun sets in motion the chemical processes in the leaf. 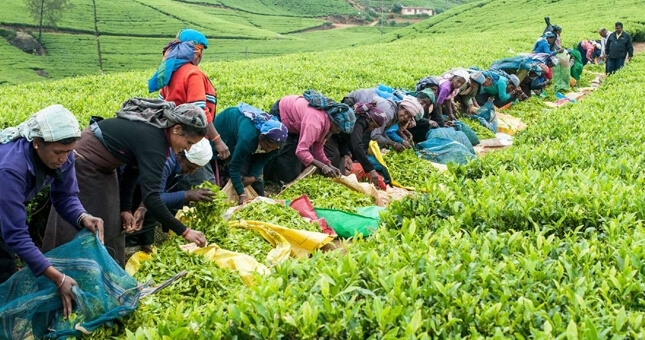 The plucking takes place at that time of the year when temperatures are at their lowest, and early morning frost not an uncommon sight in the plantation. 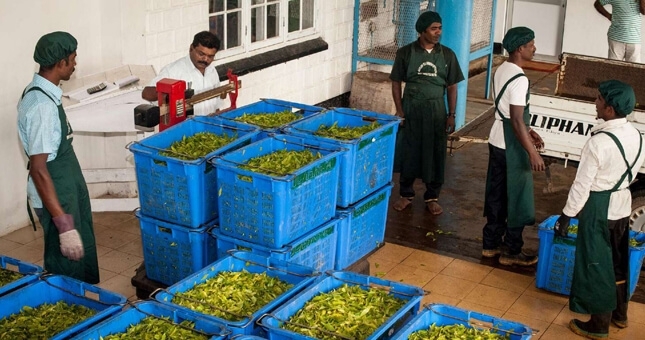 The plucked leaf is weighed, picked over and gently packed into plastic crates to protect the leaf and then transported to Dilmah's Park Garden Tea factory, located at an elevation of 6500 feet above sea level, on the southern slopes of the Pidurutalagala massif. 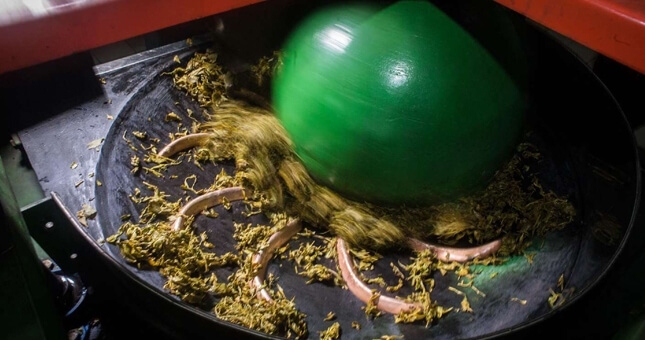 The leaf is weighed and dispatched to the lofts from where it is sent through a barrel shaped steamer, in which steam at high pressure softens the leaf and coats it with its own cell fluids. 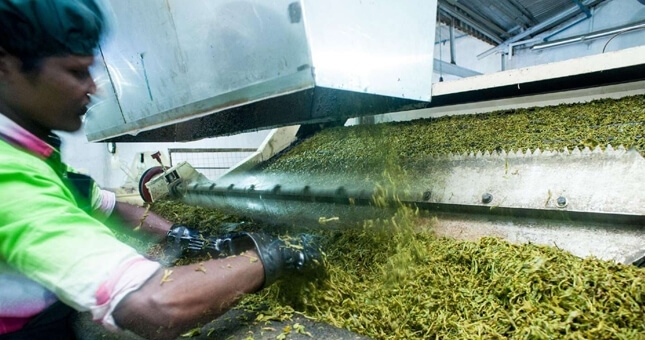 The steamed leaf briefly traverses through the pre-drier arresting any further chemical action in the leaf cells and preparing the leaf for drying in the troughs. 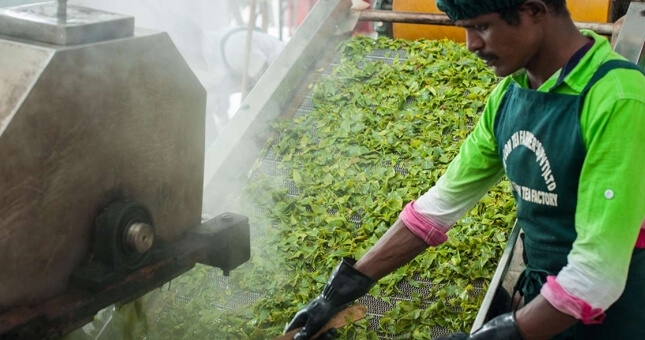 The leaf is spread thinly in the trough and allowed to lie for about 16 hours, gently fanned by cold, dry, ambient air until it dries sufficiently for the firing process. Rolling the withered leaves begins the process of oxidization by rupturing the leaf cells, allowing the cell sap to mix. In this instance, a specially made "Moon Roller", smaller than the conventional size was used. 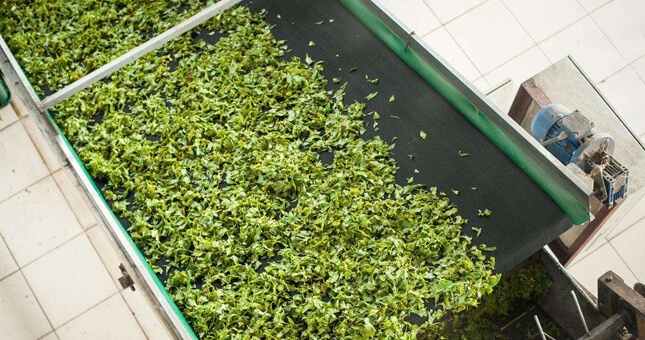 The firing takes place in a specially adapted Tea Drier machine which, at low temperature, removes all surface moisture from the leaf, rendering it suitable for the sifting and grading processes that lie ahead. 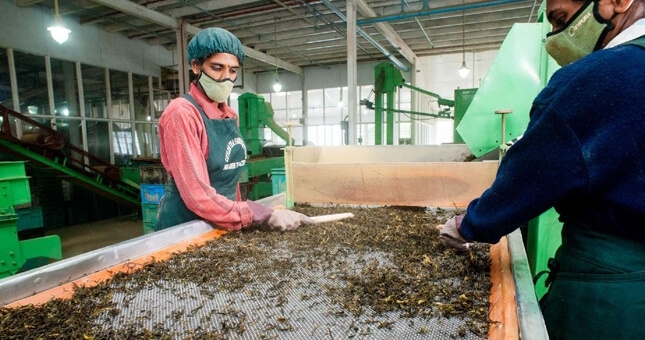 The tea is conveyed direct from the dryer to be sifted and graded. Tea particles are separated according to shape and size by being passed through a series of progressively finer meshes. The main grades are Leaf and Broken grades with the former consisting of larger and longer particles, yielding a light liquor, whilst the smaller particles produce darker and stronger liquors. 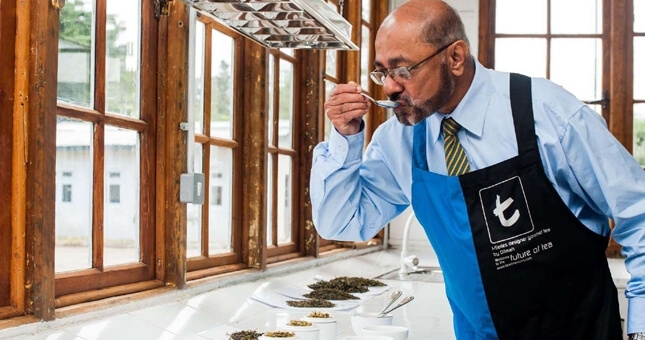 Dilmah Taster Gunasiri tasting the tea to assess its strength, flavour and aroma.